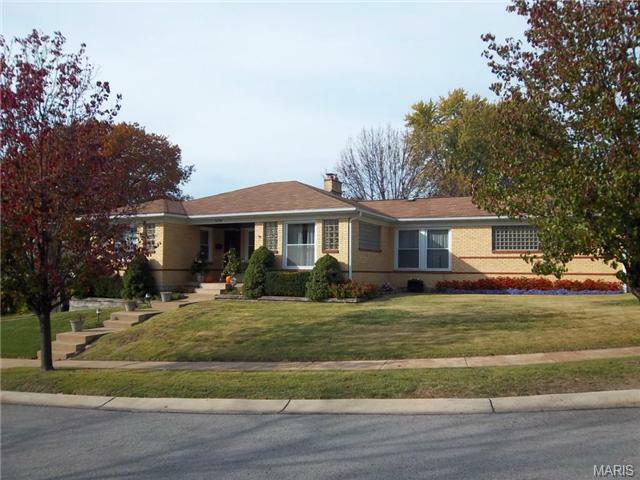 Affton real estate is mostly made up of established and older homes between 50-70 years old. These single family homes offer floor plans with 2 bedroom, 3 bedroom or 4 bedroom options. Affton MO homes for sale ran ge in price from about $75,000 to about 275,000. The median home price in 2014 was about $128,000. Residents of Affton MO real estate are fortunate to have Grant’s Farm wildlife preserve and historical site located within their city. Owned by world renowned Anheuser-Busch Inc. The 281 acre farm is home to over 900 exotic animals that represent over 100 species. Although, there is a parking fee there is no entrance fee. Affton MO homes for sale reside near Ulysses S. Grant Trail or better known as Grant’s Trail, an 8 mile long flat paved trail that is perfect for running. biking or inline skating. The trail provides numerous points of interest including the BMX bike park, Clydesdale stables and Pastures, Whitecliff Park & The Sappington House. Residents can enjoy over a hundred dining places with diversel cuisines. Sam’s Steakhouse, Sybergs, Trattoria Toscana, and Pasta House Company are just a few of the many choice restaurants to try. The Affton School District serve Affton MO real estate. The schools in the area include Affton Early Childhood, Mesnier primary school, Gotsch intermediate, Rogers Middle School and Affton High School. If you’re interested in learning more about Affton MO homes for sale, please contact St Louis County real estate expert, Sharon Colona and St. Louis Realty for a professional and simple buying or selling process. Call (636) 397-7653 or email at scolona@stlouisrealty.net. Stunning builder display for sale! Nearing close out, Fischer and Frichtel is selling their display in the popular Mackenzie Valley neighborhood. Located off MacKenzie Rd in the center of Affton, this community is surrounded by shopping, dining & leisure facilities, within minutes of historic Grants Farm & the retail centers on Watson Rd. This intimate community of only 38 homes is located on a single, quiet, tree lined street. The Parker 1.5 story has 3 BD, 2.5 BA & 2,590 s/f of finished living space. Features inc a MAIN FLOOR MASTER SUITE, 9 x2019; clngs, an open flr plan, gas FP, main flr Study, frml DR, cust Kitchen, huge island w/brkfst bar, granite c-tops, st steel appl, 42 x201D; cab w/crown, cer tile b-splash, soft close doors-drawers, cab hardware, elegant wood flrs, Luxury Mstr Bath, large bdrms, dual zone HVAC, arch shingles, low E windows, insul carriage style garage doors, digital keypad, gar door opener, irrig system, full sod, prof landscape, composite deck, W/O bsmt & more. WOW!